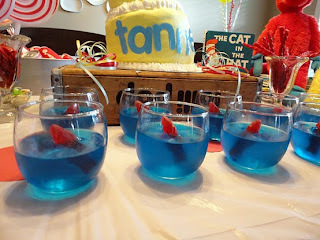 Dr. Seuss' birthday. That counts as a holiday right? I mean, I have to have a "theme" to decorate my room. It looks so bare once Valentine's is down so I am on to Dr. Seuss very soon! I like to spend the whole week before his birthday doing fun (and educational of course) activities related to his books. 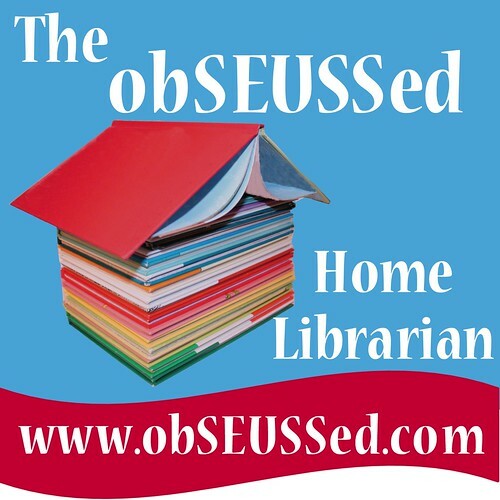 I've been stalking checking out ObSEUSSed lately. Have you seen her blog? WOW! I love it! 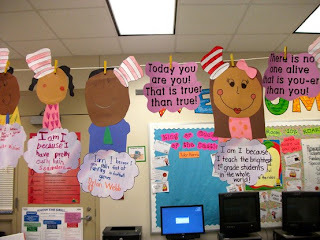 I LOVE this from First Grade Fresh to go with Oh the Places You'll Go. We always doing something school-wide for Read Across America Day. This year each teacher chooses a book and craft to do. Students can sign up to visit the classroom of their choice for the 45 minute block. 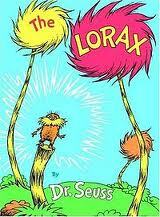 I am doing the Lorax. I found this cute craft. I can't wait! Our sweet lunch ladies are making these for each kiddo on that day. We have the BEST cafeteria staff! 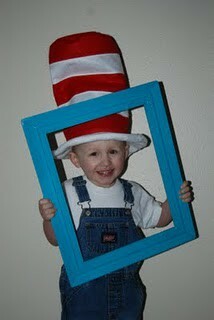 I am working on a Dr. Seuss unit that I would love to finish up this weekend! I have found tons of units I have in my cart on TPT and hoping to make a decision which ones I will purchase and use that week. What are you doing for Dr. Seuss' birthday? Cute ideas! 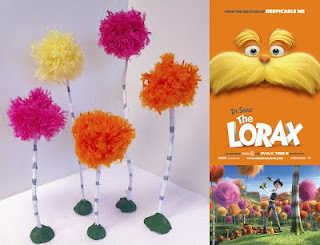 I love the Lorax activity. We've had so many celebrations lately that I'm thinking we might as well add a Leap Day celebration the week of Dr. Seuss' birthday! 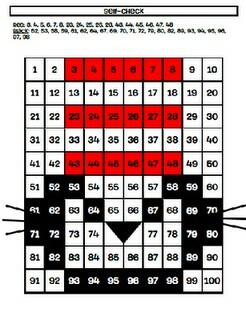 Thanks for including a link to my Cat in the Hat 100's chart. Of course it's a holiday! Great activities - the drinks with the Swedish Fish are my favorite. I wish our cafeteria would do something like that! 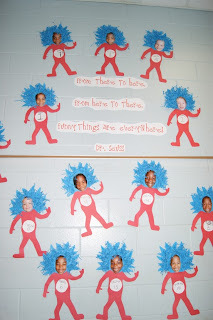 Do you know where I can find the pattern for the Thing 1 and Thing 2 body? I would like to make these this week.